This is our challenge – to combine the organic benefits of communities from cMOOCs with the more formalized structure of xMOOCs. It is fairly easy to conceptualize the idea, but the real problem is the community piece. There are really two issues to consider when designing this community: 1) what to do with that content the community creates, and 2) how to organize the communities to facilitate the co-creation of knowledge. Communal constructivism is not a new term, but one that is often left out of the discussion (except in a few cases). However, the idea is not that foreign since we often see this idea modeled in Reddit. But, of course, Reddit users post links to existing ideas instead of creating their own. 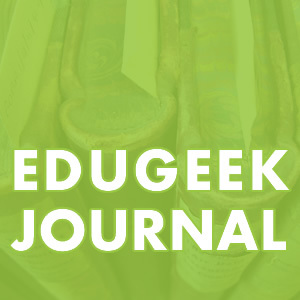 What if there was a system like Reddit that connected to blog posts by learners, and then other learners could up vote certain ideas and posts to the level of becoming class assignments or even class content? This would be one way to do something meaningful with the content that the community creates. But really, the broader idea would be to create a system where the focus in on learning with and for others. This is just one idea to accomplish that. Which, of course, leads to the second issue to consider: how to organize communities. One challenge George Siemens is looking at is how to leverage problem-based learning (PBL) in communities so that these community groupings are not just about discussing content but actually using new knowledge to solve problems. And, if learners have their own data to use, this could also be taken to the level of situated learning. Of course, most instructors that know what these concepts are also know how to make them happen: create a well-designed PBL lesson and divide students into groups. Except… we’re in a MOOC situation that needs to scale to thousands of learners. This was where my previous idea of cell group models comes in: allow students to self-organize into groups based on whatever groupings they like (geographic, existing relationships, common goal, etc). Or let them sit back and lurk. But each group would identify a volunteer leader to keep things rolling, add new members (if needed), adjust roles when existing members leave, solve problems, multiply the group if it gets too big (and identify another leader), escalate problems they can’t solve, and decide to call it a day when the group organically dies off (even if before or after the end of the course itself). So, layer this flexible grouping system on top of a Reddit system that allows learners to create and up-vote learner content (that can then be used as the problems in PBL), and allow the groups to form around these ideas. It would kind of be like tubers that discuss what drinks to bring, then putting the ones that won the vote into coolers, and those various coolers end up being what draws in the groups of tubers (which would of course change and morph as they float down the river). Like I have said before, conceptualizing this is easy, but making it happen is a beast to be tamed. Obviously, there are many ways to rig together a system of cloud services and open source installations to make this work. But this is a data analytics course… so we will need to collect data in order to practice what is being preached. Rigging a system together would mean losing a lot of data (and what we get may not interface easily), so at some point we need to find some programming funds to create something. But this leads back to the xMOOC layer. So far, all of this is mainly focusing on the cMOOC layer in a dual layer course. In many ways, the xMOOC part is easiest to figure out in and of itself – EdX does a great job of creating a platform for instructivist transfer of knowledge (that many learners want). 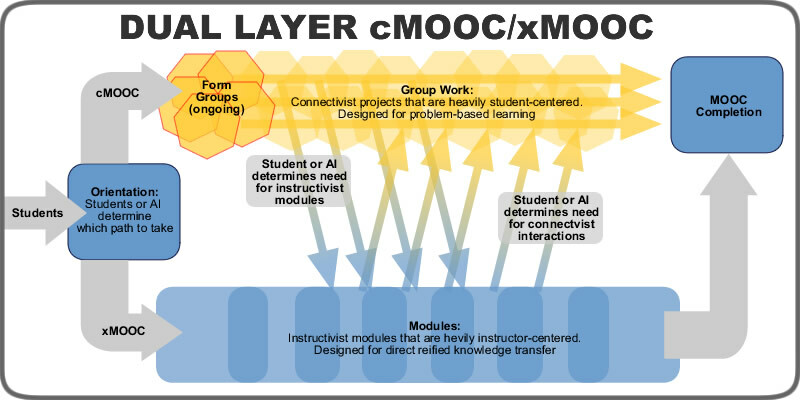 The goal of a dual layer MOOC is to create multiple pathways through learning, so that students who feel they need more interaction can get more interaction, and those that feel they need more instruction can receive that. Or, those that want to change between the two once or multiple times can. That part is the tricky part. Sure, we can just design lessons that match up and give learners access points to easily change… but again, what about the data? Why did those learners decide to switch at that point? There needs to be a system that collects data on the why and not just the clicks. We need a system that can collect everything from possible frustration to qualitative reasoning… but again, not by going to third party solutions that might lose some data (or not be able to connect the data that is collected because the collection schemas were too different). Of course, a lot of this mirrors what Dave Cormier has already blazed a trail into with community management. So I can’t claim much of this as my own ideas. 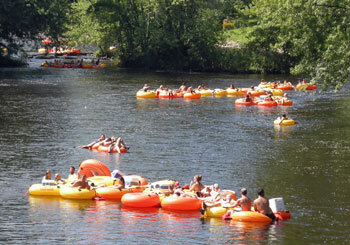 Except for the tubing metaphor… because I am Texan and tubing is the state “lazy afternoon activity” of Texas. These are just some ideas for how to solve the challenges before us. I am sure there are other better ones out there. What will we end up doing? I guess you can sign up for the actual MOOC itself to see how we all figure this idea out. If we figure it….